EpicVue equipment draws a minimal amount of wattage without compromising charge time or quality. Standby Mode (powered on, but not playing live television)—19 watts. Three modes. Low wattage demands. How does EpicVue stack up? The EpicVue DVR receiver uses 25 watts during continuous operation. The XBOX 360 draws 160 watts during continuous operation, a DVD player uses 10 and a Playstation 2 uses 50. 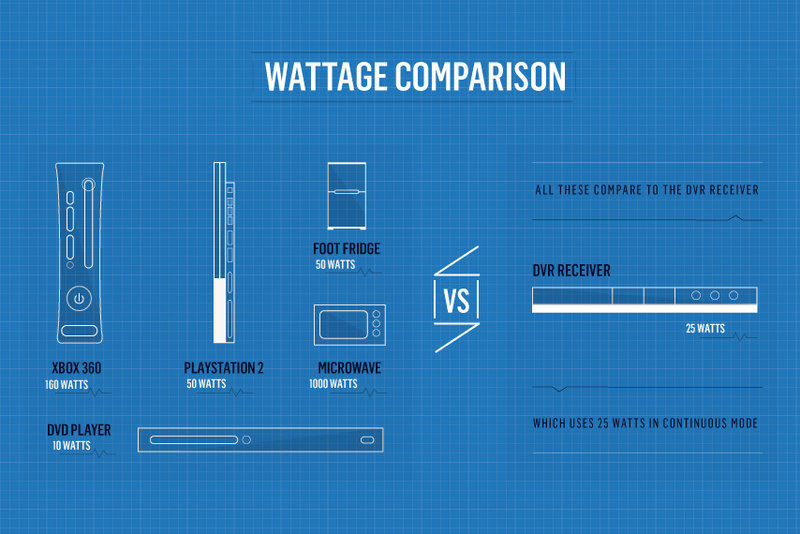 A small, in-cab fridge draws 50 watts and a 0.7 cubic foot microwave uses 1000 watts. The DVR draws less power than an XBOX and can run in standby mode at around 18.5 watts. 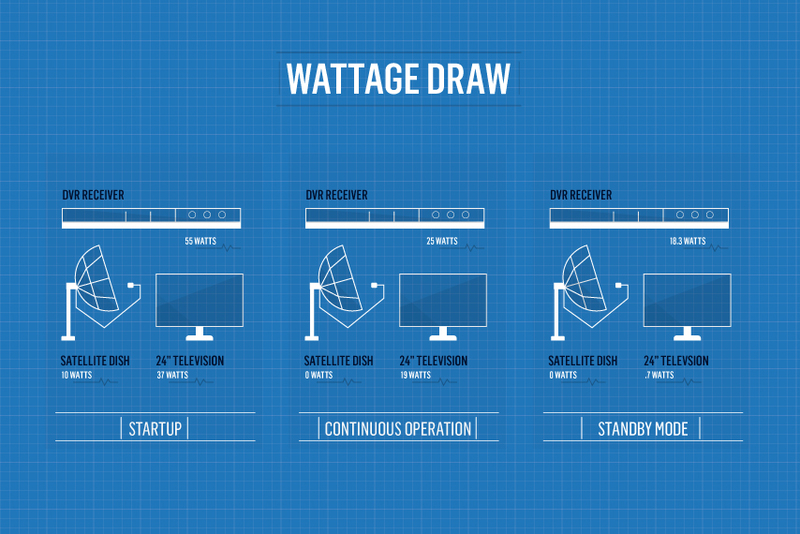 Even though it draws a comparatively low amount of wattage, the EpicVue system provides 5-8 hours of live television before having to recharge its batteries. 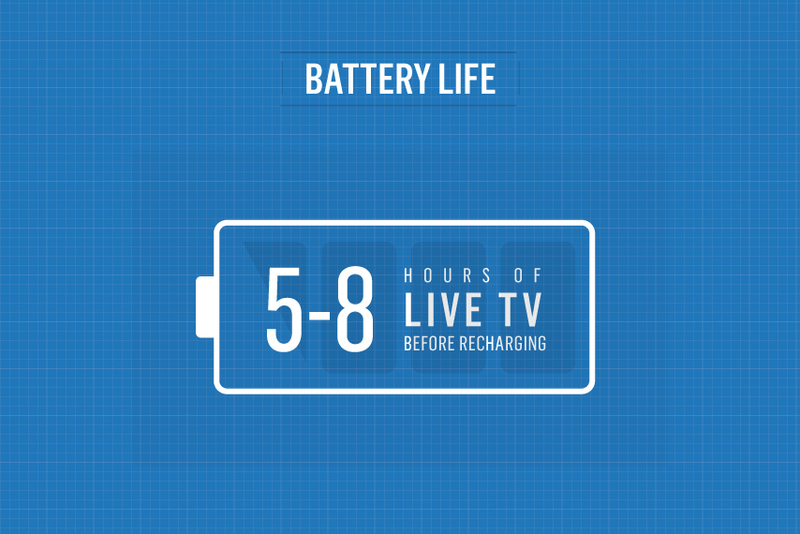 Twenty minutes of charge time provides live television for 3–6 hours. A driver can fully charge the equipment with a brief, 20-minute idle, and drivers with multiple batteries or especially large inverters can get more than 12 hours of continuous, live TV.